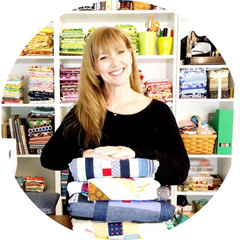 I am so excited to announce and be a part of an upcoming event that has been organized by two of the most talented and fun loving quilters in the industry, Pat Sloan and Jane Davidson! These gals rounded up an incredible group of 80+ designers ( I think that would be a bit like cat wrangling) to create 100 sampler blocks using Moda Fabrics and Aurifil thread in various weights that will be released weekly starting 14 Feb! There will be a full year of blocks to keep your quilting days filled with fun and beauty! Visit the The Splendid Sampler site to find out about updates, the already very active ( almost 7k members) Facebook Group, meet the Pat and Jane and get ready for a GREAT TIME making a beautiful quilt that will be using all different techniques so there will never be a dull moment with this Sew Along! Looking forward to sewing along with you!